Our best kept secret, this basket filled with bright chrysanthemum daisies? in all shades is the ideal way to brighten up a gloomy room. We deliver flowers, hampers and gifts to most parts of South Africa. Depending on the product ordered, the delivery method will vary. 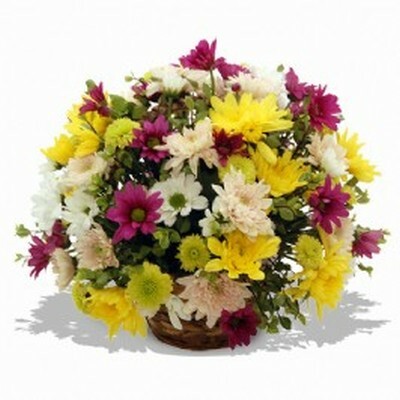 Flowers are delivered by the executing florist and hampers or gifts are delivered via courier. 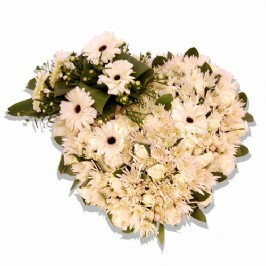 We are currently also able to deliver flowers to major cities around the world. You can help us to ensure a successful delivery takes place by making sure you provide us with accurate delivery information: the full name, telephone number, address and postcode of the recipient. It may also help if you include special delivery instructions (which can be added at check-out) where the property is hard to find or if the recipient is in an office park, university or hospital. Basically, as much accurate information as possible always helps (eg: building name, floor, ward number, departments, etc.). Flower orders through Flowers.co.za can be delivered on the same day, provided the order is placed and paid for before 12h40 on weekdays and 10h00 on Saturdays. We cannot guarantee a specific time but will do our very best to meet your requests. Normal delivery times for florists are between 08h00 and 18h00 weekdays and 10h00 and 14h00 on Saturdays. There are no deliveries on Sundays or Public Holidays. If you would like your order delivered the next day or in advance we, again, cannot guarantee a specific delivery time but can guarantee the order will be delivered on the day you have selected (providing the recipient is there to accept delivery). What happens if the Person I'm sending to isn't there? This does happen from time to time and, when it does, our florists follow a fail-safe procedure. If there's nobody home, they will leave a card to say they called, inviting the gift recipient to contact them and arrange a convenient time for delivery or collection. They may also leave the gift with a neighbour or colleague and will contact the recipient informing them of this arrangement. Specific delivery times cannot be guaranteed. Deliveries are made between 8am and 6pm Monday to Friday. (Some of our florists also deliver on Saturday mornings). If you would like to request a morning or afternoon delivery you may do so, but there will be an additional charge. Unfortunately we cannot offer a specific morning or afternoon delivery service for couriered products. If you are ordering flowers, hampers and gifts for a special occasion or if there is a deadline to when the gift must be received, please ensure that we have a way of contacting you. Complications arise (for instance, you're sending a gift to a friend in hospital and they've been discharged) and the sooner we are able to get in touch with you to find an alternative solution the sooner the gift can be delivered successfully. These products will be delivered by courier. Orders need to be placed before 14h00 on weekdays and anytime on weekends. If an order is placed within the specified parameters, delivery of these will take between 1 and 3 working days, depending on the delivery location (outlying areas may take longer). There are NO deliveries of couriered products on Saturdays, Sundays or Public Holidays. We can't guarantee a specific delivery time but will make every effort to meet your requests. Normal delivery times for our couriers are weekdays between 08h00 and 18h00. If you have already sent your order and realise that you need to change something (perhaps an address or a delivery date), please contact our customer service department [Link to Contact us page] as quickly as possible. Have all the relevant details to hand, including the order number, recipient name and address. If the order has not already been dispatched, we should be able to make any necessary changes. 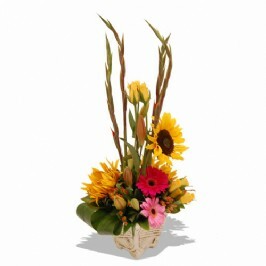 Most holidays are very active periods for the delivery of floral products (e.g. Valentine's Day, etc) and because of the volume of gifts being delivered during these times, we ask that you place your order with us as soon as possible, and at least several days in advance of the delivery date, to help us plan ahead and ensure a successful delivery on the specified date. Please note that we do not deliver flowers on Sundays or public holidays and our hampers/couriered products can only be delivered on weekdays (public holidays not included). We rely on third parties to deliver our products, so please let us know as soon as possible if an item has not been delivered and we will do our best to resolve the problem for you as quickly as possible. Please enter your missing area and we'll get back to you shortly. Items pictured above may vary slightly in design or appearance due to seasonal availability and design interpretation. If a particular flower, product or container is unavailable, an item of similar quality and value will be substituted. In every case professional attention will be given to your order to ensure that it is as similar as possible to the requested order. Earliest delivery date is Wednesday 24 April 2019. For same day delivery, orders must be placed before 12h30 (weekdays) recipient time. No deliveries available on Saturday 27 April 2019 due to Freedom Day. No deliveries available on Wednesday 1 May 2019 due to Workers Day Weekend.